Charlie is a young boy living in poverty with his parents and grandparents. They have so little but are happy and fulfilled because they have each other. Charlie loves his grandparents and the wonderful stories they tell him. One of their favourite stories is about Willy Wonka. His grandfather often regals him with tales about the wonderful chocolate maker, Willy Wonka and his mysterious factory. One day the owner of the chocolate factory, the eccentric Willy Wonka, announces that he will be putting five golden tickets in five chocolate bars and whoever gets them will be allowed to enter his factory for one day. The factory had been closed for a long time and now five lucky children will now be able to enter. Once a year on his birthday Charlie gets a bar of chocolate from his family as a present. He wishes with all his heart that the bar he receives contains a golden ticket. He watches on television as a gluttonous boy called Augustus Gloop wins the first ticket, a spoilt and bratty girl named Veruca Salt wins the second, a cow-boy obsessed boy named Mike Teeves the third and the fourth is won by a gum-chewing Violet Beauregarde. 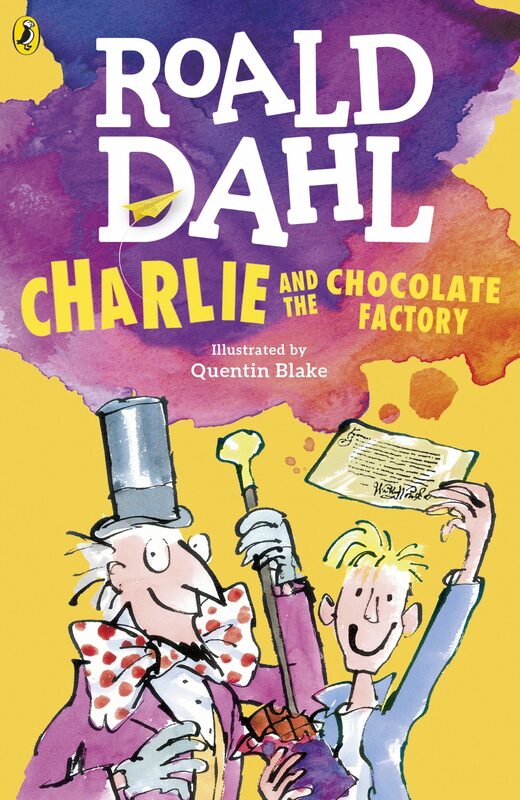 Charlie doesn’t get the golden ticket in his birthday chocolate but as luck would have it, he finds a coin one day as he is walking and ends up buying two chocolate bars and in the second bar he finds the last golden ticket! Charlie and the other four children, with their adult escorts, enter the factory and go on a journey like no other. They meet a rare breed of people called Oompa-Loompas and are able to see how all the chocolate and candy is made. One by one the children are thrown out of the factory because of their horrid manners and it all happens in hilarious and mysterious ways. Charlie, because of his good behaviour, remains the only child at the end of the tour of the factory. He is rewarded by Willy Wonka with a special prize. The book teaches children that good behaviour is always rewarded in the end and that those that are pure of heart always succeed. It is a funny and engaging book that is will keep the children glued to it’s pages. The author creates such convincing and creative characters and describes them and the factory so well, it is not hard to imagine the scenes and setting as you read. This book is suitable for older readers aged eight to 12. LIKE IT, LET SOMEONE KNOW! Our dream is to open minds by creatively sharing Ugandan stories. By nurturing a generation of storylovers by showcasing diverse Ugandan stories through our publications and community of book clubs.